Happy New Year- Enjoy 10% off! What is the best way to kick off a new year? With a new offer of course! 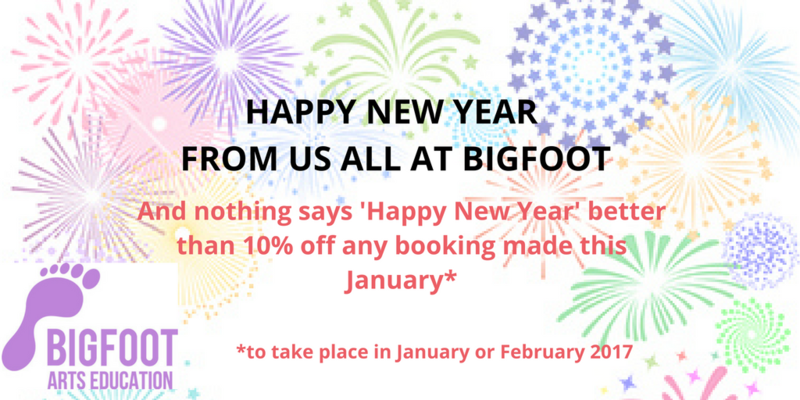 Take advantage of the opportunity to receive 10% off the cost of ANY Bigfoot programme, to take place in January and February 2017. With so many exciting events taking place in schools this term, from Safer Internet Day to World Book Day and Shakespeare Week, you can’t afford to say no!